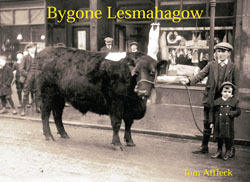 A nostalgic collection of community oriented photographs showcasing activities and businesses within the parish of Lemahagow from the mid 1800s. Golf and bowling club photographs from the 1920s and 30s jostle with early school photographs and the Smiddy at Boreholm is seen hard at work in the days before the newfangled motor car took over the roads. The Lesmahagow Male Voice Choir proudly display two of their trophies a page away from the smart and polished brass band of the Independent Order of Good Templars in 1906. Also included are the big houses of the neighborhood, Kerse House which had a thriving tomato and soft fruit business and Auchtyfardle of chestnut gathering fame.